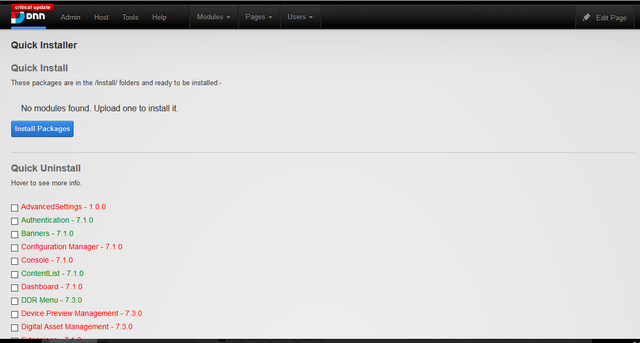 Now you can install or remove DotNetNuke Modules in a fraction of the time. Even the page will load faster than the DNN Host/Extensions page. This module will help Host users that have struggled with the time consuming Install or Uninstall process in DNN. Now you can install multiple modules at once with a single click. All you need to do is to copy them to the /Install/Module folder. It also works for Skins, Skin Objects and other Packages. And if you need to remove modules from your install just use the colour coded list of the modules installed and can check all those you want to install and remove them with a single click. No more waiting for the site to reload after each one. So if you have a large site that takes a long time to reload between each uninstall this module will save you heaps of time. As every good Host will know, removing a module will mean its no longer available in all Portals on that particular install so the list is colour coded to show which are actually placed on a page. Install the same way as any other DNN module. Then create a new page to add the module to. Its recommended that the page sits under the Host menu and is only given Host permissions. The module wont display if viewed without Host permissions as an extra precaution. We've tested this on DNN 7.3.0 and above. If you would like a version that works for older DNN versions please get in contact. Alternatively - what are you doing on such an old version? Upgrade and use this module to remove any old modules you don't need anymore. Licence is similar to other paid for DNN modules. Full licence is available on install. The Quick Install Single LICENSE allows you to use the SOFTWARE for 1 (one) DNN Installation. To use the SOFTWARE for more than 1 (one) DNN Installation, you will need to purchase additional LICENSE from MARK C.
The Quick Install Unlimited LICENSE allows you to use the SOFTWARE on as many DNN Installations as you wish. To facilitate the development process, MARK C allows you to deploy the SOFTWARE on your test and development machines. The test and development machines must not be used to service or interface with actual customers of your business. 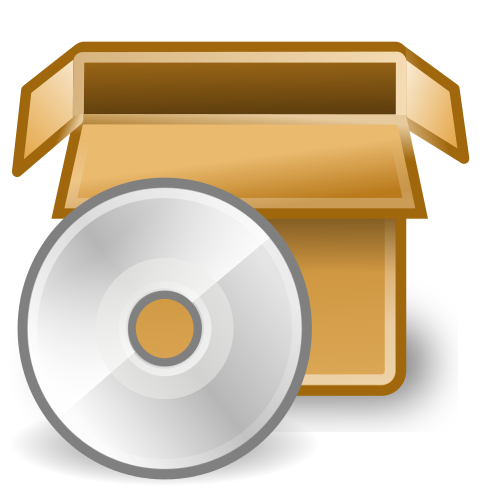 In addition, MARK C allows you to make copies of the SOFTWARE for backup purposes only.